But even if the outbreak is bad and getting worse, it’s not considered bad enough for WHO to declare it a “public health emergency of international concern” – a designation reserved for the most threatening global health crises. Friday marked the second time since the outbreak began in August 2018 that WHO has decided against using its highest level of alert for Congo, even as health workers grow increasingly alarmed by the rapid spread of the virus. Since August 2018, more than 1,200 people are believed to have contracted Ebola in Congo; 764 have died. And the outbreak has worsened significantly in recent weeks, with 20 new cases confirmed Thursday alone, according to Congo’s health ministry. WHO has only used its highest level of alert in four previous health crises, most recently during the 2016 Zika epidemic, when the mosquito-borne virus was believed to be causing brain damage in infants. The group used the same designation for the 2009 H1N1 influenza outbreak, a 2014 polio outbreak in Pakistan and Syria, and in 2014 to confront a widespread Ebola outbreak in West Africa that ultimately left more than 11,000 people dead. But on Friday, Robert Steffen, chair of WHO’s expert committee that met to address the Ebola outbreak, said at a news conference in Geneva that his team decided that “there would be no added benefit” to declaring the outbreak a global emergency, in part because the virus has not spread over the border into neighboring countries. Instead, he called for efforts to control the disease to be redoubled. “We cannot lean back and relax,” he said. This latest Ebola outbreak is the deadliest since the 2014-2016 outbreak in West Africa that caught the World Health Organization off guard. The international body faced serious criticism over its handling of that outbreak, and has acknowledged that it could have done more sooner. This time, health workers want to make sure all that can be done is done quickly to stop the spread of the virus. In Congo, the Ebola response has been complicated by the community’s deep-seated distrust of outside intervention – a dangerous backdrop to the outbreak of a deadly, highly contagious disease. 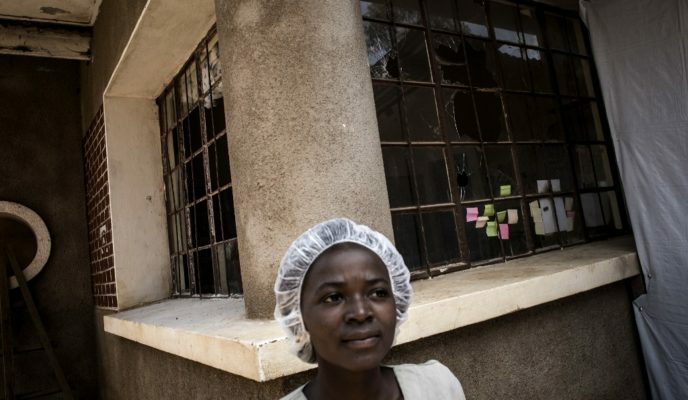 Armed groups have intimidated health workers, and in February, two health centers run by Doctors Without Borders were attacked, forcing the international medical group to suspend its operations in the epicenter of the outbreak. Trish Newport, the Doctors Without Borders representative for Ebola, said the outbreak is definitely “not under control right now.” She said that more than 40 percent of the confirmed cases have been community deaths, opening up the possibility for the infection to spread to those who came into contact with the victims before they died. And in around 75 percent of new cases, health workers have not been able to identify where patients contracted the virus, Newport said. That can hamper the effectiveness of vaccination campaigns, which have historically been based on a “ring” that identifies individuals who have had contact with someone diagnosed with Ebola and builds out from there. “If we don’t change our approach, we aren’t going to get the outbreak under control,” she said. J. Stephen Morrison, director of the Global Health Policy Center at the Center for Strategic and International Studies, said that the international community claims to have significantly strengthened its preparedness for large-scale Ebola outbreaks in recent years. But what’s needed in Congo, he and Newport agreed, is a new way to engage communities that will help them control the virus. The declaration of a global health emergency alone would never have been enough.